There are so many products out there that aren't by cruelty free brands or that contain unnecessary animal products. 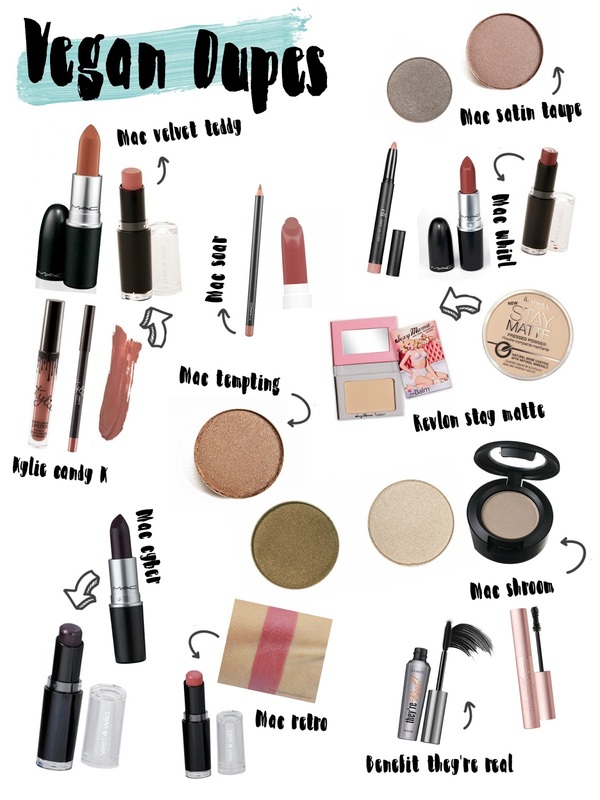 I am constantly on the look out for vegan/cruelty free dupes for some of my favourite products, so I thought I would share some of my current favourites that I have found. Not only are these dupes cruelty free and vegan but a lot of them are highly affordable. A lot of these dupes are Mac eyeshadows or lipsticks because they are such great products however do come with the downside of animal cruelty. I hope this post will help you to make better decisions when it comes to choosing where your products come from, especially perhaps your favourite Mac lipstick. I love these lip colors!